Student veterans, programs on display during visit from Robert L. Wilkie Jr.
OXFORD – The University of Mississippi hosted U.S. Secretary of Veterans Affairs Robert L. Wilkie Jr. last week during the university’s observance of Warrior Week. Wilkie, a member of the U.S. Cabinet and an officer in the Air Force Reserve, spent time meeting with members of the Student Veterans Association on campus Friday morning (Nov. 2) at the Veterans Resource Center. There, he heard questions and concerns from student veterans on a variety of topics. As the student veteran population gets younger – for the first time since the 1970s, more than half of U.S. veterans are under age 65 – Veterans Affairs hopes to cater its services toward younger beneficiaries, Wilkie said. Wilkie’s visit offered Ole Miss students and leaders an opportunity to showcase the commitment being made to veteran and military personnel. Andrew Newby, assistant director for Veteran and Military Services, said he was proud to show Wilkie that Ole Miss is making strides in improving the lives of student veterans across campus. 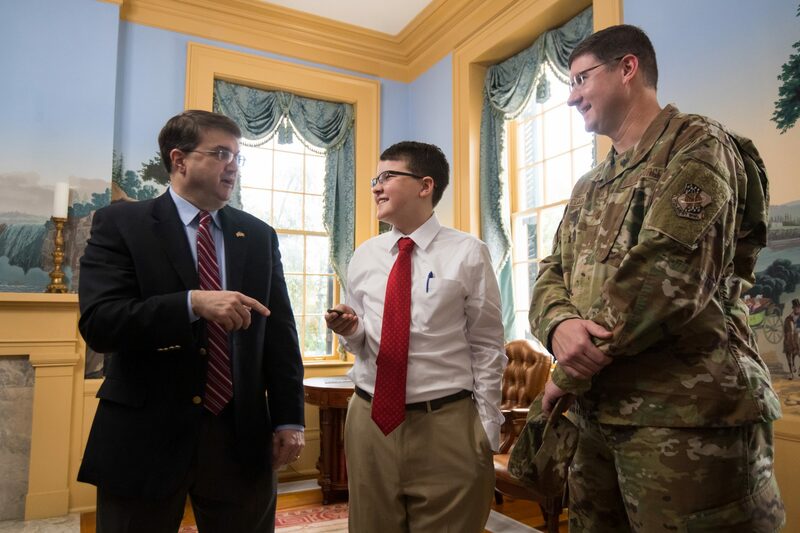 “His visit shows the student veterans of Ole Miss that, as an institution, we have gained invaluable support from the top down, and it is incredibly important to each and every one of them,” Newby said. “It is wonderful to have Secretary Wilkie on campus because we are working to become the standard for caring for student veterans on a college campus. Wilkie is no stranger to the university – his ties to Ole Miss go back generations. Somerville Hall was named after his great-great-grandmother, Lucy Somerville Howorth. His great-grandfather, Abram Somerville, used to walk him around campus in the 1970s. “I have seen (Ole Miss) through the eyes of a child, and it is great to be back,” Wilkie said. 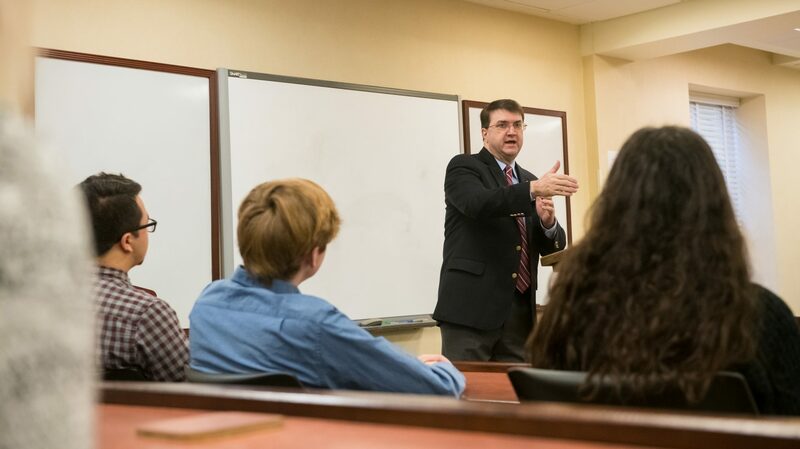 Wilkie, who served as counsel and adviser on international security affairs to former Senate Majority Leader Trent Lott, spoke with students at the Lott Leadership Institute on Friday and also visited the Mississippi State Veterans Home in Oxford. Chancellor Jeffrey Vitter touted Wilkie’s appearance on campus during a welcoming event at the Lyceum. “We are very honored to have our Secretary of Veterans Affairs Robert Wilkie here, especially with this week being Warrior Week and Military Appreciation Weekend,” Vitter said. On Friday night, Wilkie attended the inaugural Veterans Alumni Gala and participated in the pre-game coin toss at Saturday’s Ole Miss football game. Wilkie said he enjoyed his trip to Oxford and admired the improvements the university has made since he visited as a child.